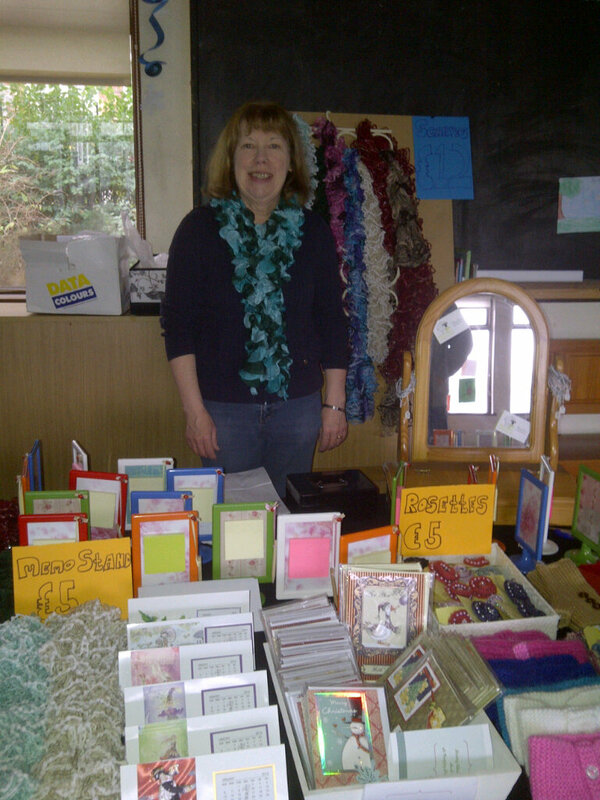 Well I finally did it, I set up my own craft stall last Saturday in Scoil Mobhi. This was a long time coming and I enjoyed every minute of it. It was the school's Christmas fair where they had a seperate craft room. 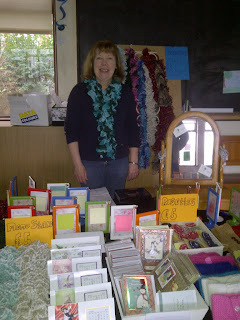 There were nine craft stalls including mine. I set up the stall not quite sure what the plan would be. I was really pleased with the way it looked - professional. Emily, although only over her operation, helped me the night before by writing my tags that I wanted on my hand-knits. My son Paul and his girlfriend, Alicja, helped me in the morning to unload and get started. I was surprised at how much I sold, enough to cover my costs and keep me happy, but the best was the enjoyment I got from the day. I couldn't believe how comfortable I felt there. I think I have caught the bug. My older daughter, Sarah, arrived early afternoon to keep me company, she is a real people person and it gave me a chance to browse the other stalls and get my Christmas shopping started. I am booked into the Honest2Goodness market on Saturday 15th December, it runs from 10am to 6pm. It is a farmers market and they have craft fairs 4/5 times a year, I can't wait. My apologies for being away from my blog for such a long time. I do have a good excuse though; I have booked my first market stall. 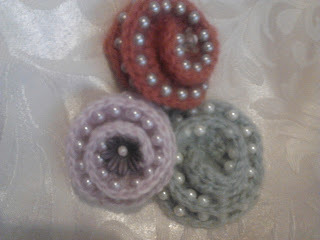 Therefore I have been beavering away with my items, putting the finishing touches to them. My head is bursting with new ideas too but there just aren’t enough hours in the day for me to get them all done. Scoil Mobhi, (beside Na Fianna GAA Club) Mobhi Road, are holding a Christmas Fair (Margadh na Nollag) on Saturday 24th November from 11am to 4pm. It's the school's 40th anniversary and the fair is shaping up to be a grand affair. This is the destination for my first ever stall. I am so excited and nervous at the same time. 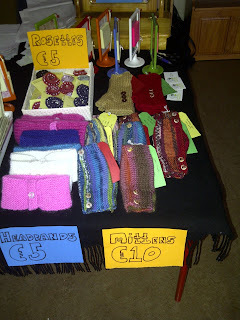 I hope to have another stall on 15/16 December, but more about that in a later post. Scoil Mobhi have a designated craft room at the fair which is where I'll be on the day. There should be plenty of opportunities to pick up some Christmas presents, I hope to have a helper on the stall with me so I get a chance to buy some presents of my own. My daughter Emily who has supported me in this venture in many ways had promised to be one of my helpers on the day but unfortunately she must desert me. Emily is due to have an operation and guess what? The date is set for the Monday before the fair. She will be in her sick bed or on the couch on the day. I am sure I can turn this to my advantage though, while I sit by her bed side and nurse her back to health she will have to listen to the clacking of knitting needles. I can’t believe there are only 7 weeks to Christmas, can you?. With me spending all my spare time doing what I love best there is nothing done for Christmas in my house. I have included some pictures of the items I am bringing to the market with me. Hand knitted fingerless mittens and scarves, crochet brooches, headbands and my Christmas cards. I also have a nice idea for a present for teachers which children could also give to Mums, Nana's or favourite Aunties. Just to remind you the deadline for hats is Friday 30th November 2012. For the last 2 years Innocent had a stand at the Christmas Craft Fair at the RDS and I hope they will be back again this year. You can sit with them at the stand and knit a hat, there is usually a queue to do so. You could also get your friends involved by setting up a knitting party. All you need to do is set the date, buy some biscuits and put the kettle on. The Innocent website gives all the details but you can take a look at these PDFs. If you do have a knitting party Innocent want to hear all your stories and photos from the day. 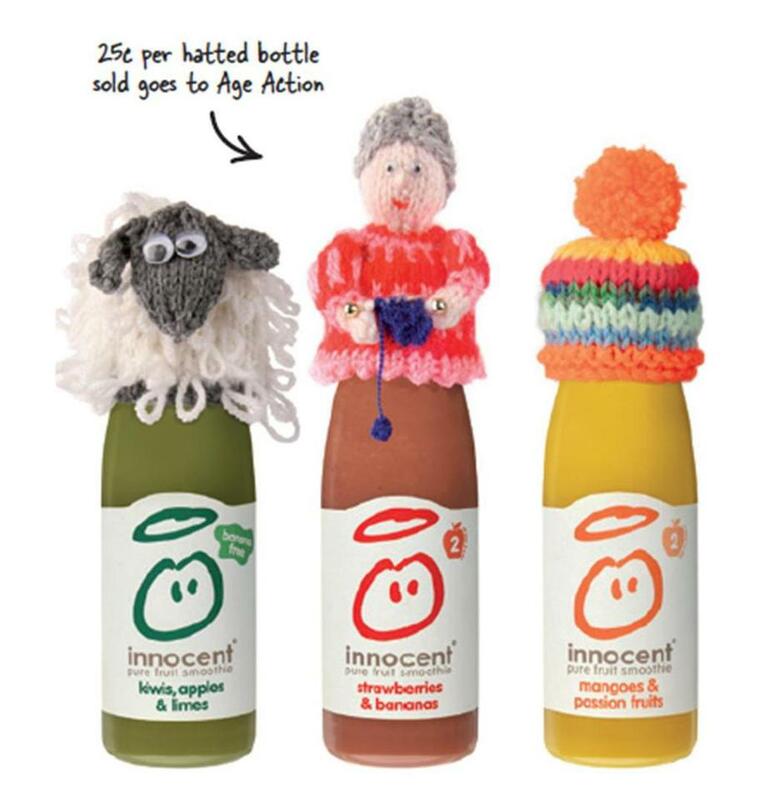 You can send them all to howaya@innocentdrinks.ie, post them to their facebook wall or twitter account and while you're at it, give me an aul tweet as well, I love to talk to y'all on that twitter machine! You may think it's hard to find time to knit but really when you put your mind to it there are plenty of opportunities to take out the needles and start clacking away. I take my wool and needles or crochet hook with me wherever I go. Recently I was in the hairdressers and while waiting for my highlights to take I was knitting mittens for my stall, and also using the opportunity to spread the word about the upcoming craft fair I’ll be at (it’s in Glasnevin, Dublin in December in case I haven’t mentioned it to you yet). The weekend of course is a great chance to get the needles out. I’m an early riser at the weekends, old habits are hard to break, and while I’m watching the Food Network channel on TV I don’t feel guilty because I’m keeping my hands busy with my needles. While visiting my Mum (who is quite elderly) on Sundays I knit and because of this she recently took out her own needles and started a baby blanket for a new great grandchild that is expected around Christmas. Mum hasn't been too well lately and lost all interest so it's great to see her back knitting. Knitting can also help keep you healthy. I know, this one sounds far-fetched but I joined a slimming club a few months back because I want to lose a bit of weight for health reasons. In doing this I’ve learned it’s good to keep your hands busy by knitting instead of in the biscuit jar! And another way I keep my hands away from tempting treats is to take just half an hour to eat my lunch at work and the rest of the time, you guessed it, I knit! All sounding a bit much? Well what about when you’re in front of the TV? One of my favourite programmes at the moment is Downton Abbey (are you a fan? 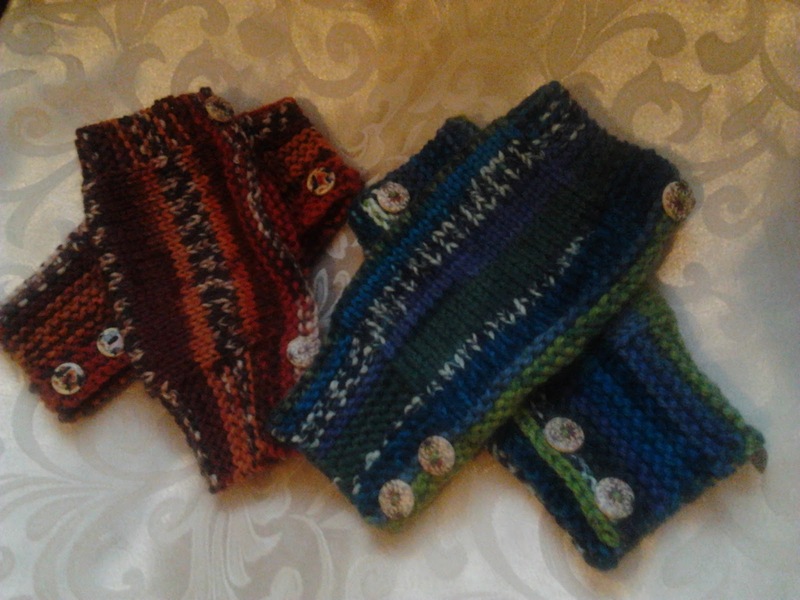 ), there’s nothing like ending a busy day relaxing in front of the TV and knitting away. If you’re finding it hard to get the time to knit you should look at joining a class. Nothing makes you set aside time more than having to leave the house for the specific reason of knitting and it’s a great way to meet fellow stitchers! Some wool shops run them, I know Stitch on Shantalla Avenue, Beaumont do. Now that the colder weather and darker evenings are here you could also think about getting your friends to meet one evening a week for a stitch and bitc...I mean a knit and stitch session! These are just some ways I’ve managed to fit my hobby into my day. How do you find the time? 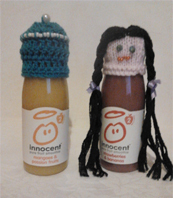 Everybody knows about Innocent Smoothies. They're the guilt free drinks that pack a punch of flavour. 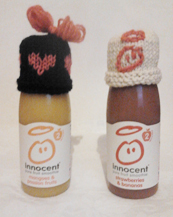 But does everyone know about their initiative The Big Knit? 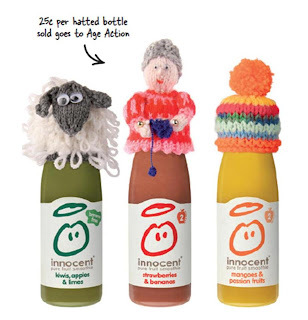 For the not too experienced knitter you can check out www.innocentdrinks.ie/thebigknit for ideas and patterns. You have until Friday 30th November to get your creations to them. I'll definitely be helping out the cause and will post some of my creations here. In the meantime I'm happy to help if you're having trouble getting your head around the pattern ("head around the pattern," get it? Because they're hats? No? I'll stop.) or if you're a dab hand at them I'd love to see what you're producing. Just leave a comment! I thought I would share another of my crafting loves and that’s card making. I’ve been doing this for a while but only for friends and family. I love that it can be time-consuming and allow you to while away your day getting lost in different card colours, textures, ribbons, glue, glitter, print outs, cut outs and the plethora of other elements you can include. 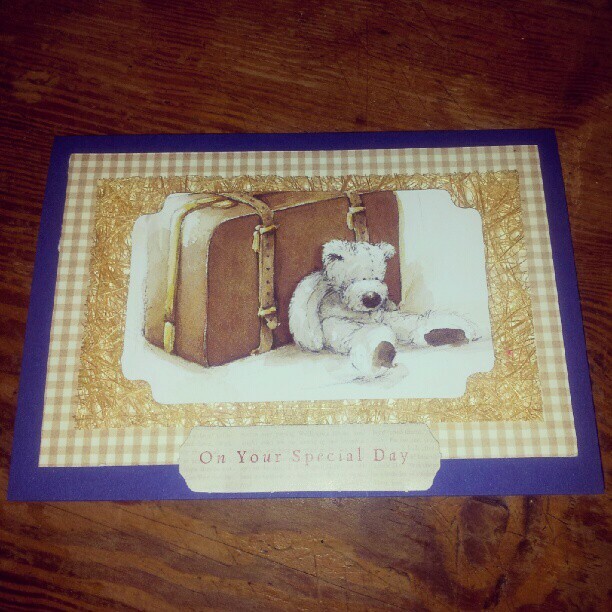 Or you can simply take 10 minutes to put together a card for someone special. Either way, no matter how long you spend on it, the thought is always so appreciated. I made this card for my son for his birthday a few weeks ago. There isn't anything too complicated going on here and yet it’s so effective. I’m going to be making a lot of Christmas cards soon so stay tuned for a tutorial or two coming along. Recently I bit the bullet. I booked myself a stand for the craft market in Glasnevin, Dublin this winter. 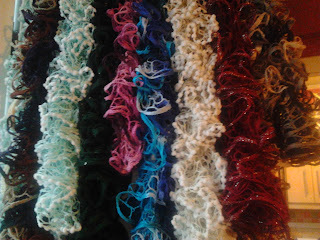 The stocklist hasn't quite been finalised just yet but I hope to be selling scarves, hats, headbands and Christmas cards. While I'm up to my eyes in wool and paper I wonder about what it is that made me dive into this. The fear that I'm not making the right stuff, that no one will want what I have to sell, it nags at you when you're staring at pattern after pattern after pattern. But you really can't beat that sense of satisfaction when you cast off your final stitch and hold up what you've just created. So that's what I'm focusing on, enjoying the process, one scarf at a time. Have you ever held a stand at a craft market? Any advice for a first timer? Fernsmon Creations is a craft blog created by Monica Ferns. It is based around a love and appreciation for anything that can be created be it sewing, knitting, papercraft, food, jewellery making. All manner of crafts is appreciated here.